In an adroit political move, by seizing on a rebel attack which killed 16 soldiers at the Sinai border a week ago, President Mursi of Egypt has managed to sideline the military’s political power. The entire military leadership of Egypt has been forced into retirement; the SCAF (the Supreme Council of the Armed Forces), including Defense Minister Mohamad Hussein Tantawi and commanders of the Navy, Army and Air Force. We are assured that this is a sign of Egypt’s new democracy and that we can all breath easier when generals do not have their hands on the levers of power. About the latter we can probably agree, apart perhaps from Americans who have had such successful generals turned politicians as Washington, Jackson and Eisenhower. We Brits, however, have only the example of Wellington, one of the most brilliant commanders in history who also turned out to be one of our worst Prime Ministers, and this in the face of some really strong competition. It has to be questioned that this is the democratic advance suggested by much of the media. As a result of these events, when allied to the fact that there is no settled constitution in Egypt and no legally sworn in Parliament, it means that Mursi and the Muslim Brotherhood can do whatever they have the political will to do. Mursi is effectively the Muslim Brotherhood dictator of Egypt. Under the 30 March 2011 Constitutional Declaration which is supposed to regulate political affairs until a new constitution can be agreed, the president cannot rule on matters related to the military – including appointing its leaders. Nevertheless, Mursi has assumed full executive and legislative authority as well as the power to set all public policies and sign international treaties. There is at present a constitutional Assembly tasked with drafting a new constitution. Mursi has assumed the right to form a new Assembly just in case the present one is unable to perform its functions, or perhaps comes up with the ‘wrong’ constitution . A sign of the way in which the wind is blowing is the replacement for Field Marshall Tantawi the ousted Minister of Defence. His job has gone to the head of military intelligence, Abdel Fatah El-Sisi, one of the generals who defended the controversial ‘virginity test’ used against female democracy campaigners. Rather than being a democratic step forward in Egypt this is in effect a coup. 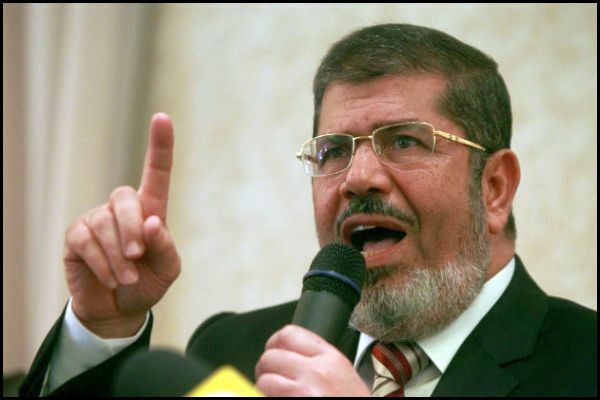 Mursi and the Muslim Brotherhood can now do as they wish without the counter balance of the army. Instead of having two powerful groups keeping each other in check Egypt now has one unchecked power group in charge, the Muslim Brotherhood. Mursi has also appointed new editors for Egypt’s top newspapers and other state controlled media outlets. On Thursday many journalist staged small protests and columnists left their columns blank in protest at the Brotherhood’s attempt to take complete control of the newspapers rather than reforming them. In the meantime, according to Egypt’s official news agency, the Saturday edition of Al-Dustour was confiscated on the grounds that it insulted Mursi and instigated sectarian discord. This independent tabloid newspaper is owned by a Christian businessman and has been fiercely critical of Mursi and the Muslim Brotherhood. Saturday’s edition had a long front page article warning of a Brotherhood ‘emirate’ seizing Egypt. It urged Egypt’s liberals to join with the army in preventing a total seizure of power by the Brotherhood. 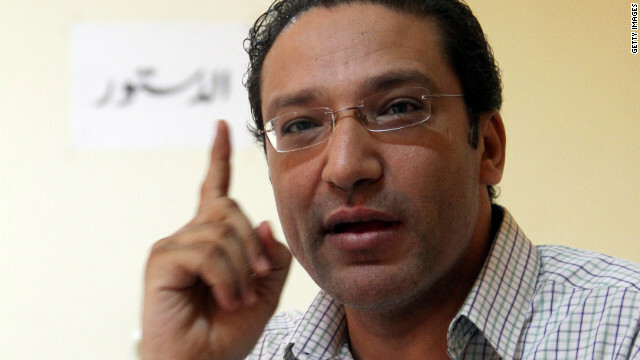 It has been announced today that along with Tawfiq Ukasha, the owner of the independent al-Faraeen TV station, Islam Afifi, the editor of the al-Dustour, will face trial in Cairo accused of incitement to murder Mursi and sowing sectarian discord. So, what with controlling the only effective opposition and clamping down on the freedom of the press how’s that much vaunted Arab Spring going now?